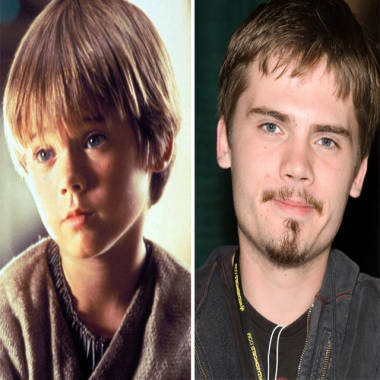 Jake Lloyd in 1999's "Star Wars: Episode I - The Phantom Menace," and at right, in 2011. The “Star Wars” series has been an immense career boost for most of its stars, however, for Jake Lloyd, who played Anakin Skywalker in “Star Wars: Episode I – The Phantom Menace,” it’s been nothing but a nightmare. So much so, in fact, that he left acting forever. The 22-year-old former actor, who was 10 at the time of shooting, recalls the badgering he faced from jealous schoolmates while making the film, and the lasting regret which prompted him to give up acting for good. “I've learned to hate it when the cameras are pointed at me," Lloyd says. Other than small roles in “Jingle All the Way,” and television shows “ER” and “The Pretender,” Lloyd’s credits as an actor primarily consist of his brief stint with the “Star Wars” franchise. After portraying Anakin in a chain of related video games, the actor chose to leave Hollywood for Chicago, where he recently finished studying film at Columbia College. Lloyd’s been known to pout before. In 2009, he made statements bashing George Lucas for failing to meet public expectations with the movie, in this appearance on Australia's SciFiTV.com. For fans of the preeminent brand, Lloyd’s exit from the big screen is no tragedy to the force. Do you think he has enough to complain about, or was he simply lucky to land such a role? Tell us on Facebook.